Wellness is not only physical health but also mental, emotional, social and intellectual health. The university aims to achieve all these through the different channels that are available to develop a holistic individual. Students in the University of South Florida are encouraged to take advantage of the resources and services available for a positive impact on their university life and life after school. Here are some of the available resources at the institution that contribute to wellness and health. USF health center has qualified personnel that provides treatment to its patient ranging from the common illness like common colds and coughs to complex diseases. The experts drive comes from their desire to see that their patients are in perfect health and there is continuum health in the USF community; hence the discovery of new and improved solutions for providing treatment to the patients. The university provides disability services to all its students who have disabilities. The disabilities services provide realistic accommodations to students with disabilities enabling them to access the school environment and buildings with ease. The department provides services such as classroom accommodations where there are note-takers, ensuring that the students are allocated extra time during exams and that the class lectures are recorded for future reference. Additionally, they ensure that there are alternative text formats for materials used by the visually impaired and interpretation or captions for the deaf and those that are hard to hear. They do all these to ensure that even the disabled lives are impacted on and that they have a successful academic life at the university. The University of South Florida has a psychological center that facilitates research, teaching and clinic services. 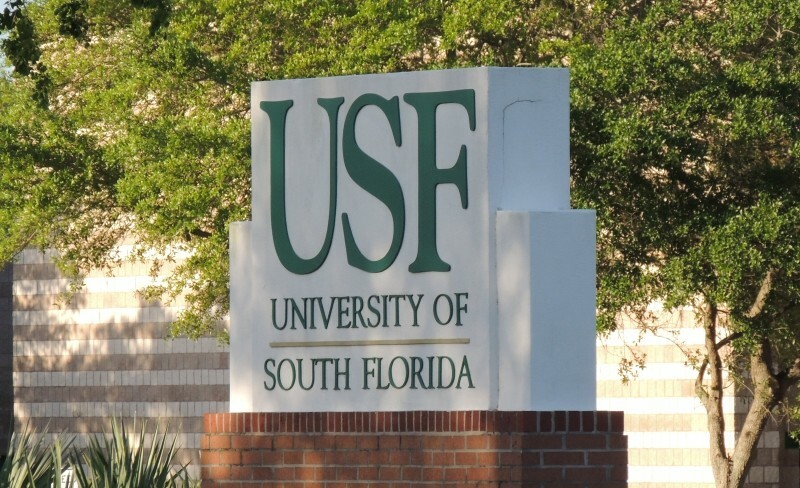 PSC offers mental health services to the USF community while allowing graduates from the university doctoral program in clinical psychology to practice. Therefore the center provides assessments and therapy services to couples, families, children, and adults. It provides general clinical services like dialectical behavior therapy, general adult psychotherapy, and child, adolescent & family psychotherapy. The Tampa general hospital is the home for emergency medicine residency in USF. It is the best place to train and practice emergency medicine. The hospital prides itself for having qualified staff from different backgrounds that are dedicated to providing quality services, provide teaching opportunities as well as facilitate the expanding research department. The hospital has features that offer different pediatric services to the children and adults and an emergency care center with a pod system, private rooms, digital radiology, medical records electronically and a conducive working environment. 5. Joy McCann Culverhouse Center for swallowing disorders. The center is located on the 6th floor of the morsani center for advanced healthcare. The center provides multidisciplinary, comprehensive and substantiation based approaches to the diagnosis and treatment of swallowing disorders. It manages GERD and its impediments, complex pharyngeal and esophageal strictures, hoarseness, complications caused by stroke, Parkinson’s disease muscle and nerve disorders that interfere with swallowing. The center has certified gastroenterologists who are specialist for the swallowing disorders and the esophageal infections, with two speech pathologists who work fulltime evaluating and treating oropharyngeal disorders. The center is one of the most recent developments in clinic treatments and has an active research team that studies the diseases associated with the disorders.